I struggled to make progress with my writing for a long time. I felt like I didn't have the time or energy after all the other things I had going on in my life to do the work. I also forgot to give myself permission to indulge in the selfish act of pursuing my own goal alongside or even above my professional and personal commitments and obligations. That all changed at the beginning of the year when I set out on a journey to work every day at my goal to become a professional novelist. I am now in my eighth week of my writing-every-day challenge and things have been going very well so far. Since tracking my writing, I can see that I have accomplished more in the last eight weeks than I did in the entire previous year. I wrote 67,000 words of new draft material. Most days, that meant first-draft text on my current WiP. Some days, it meant writing out complete beats ahead of finishing the text. But it was enough work to turn the 20,000-word start that I felt stalled on into a novel-in-progress I am excited about. The lesson from this is that I can write at a pace to produce a first draft of a new novel in 8-12 weeks (something good to know for planning out the production goals for the coming months). By keeping track of my words-per-hour production, and writing at different times of the day, I learned that I am capable of 1,500 words-per-hour when I am working from a good outline with beats and that even though I can produce at the same pace no matter what time of day I write, I am happier when I produce new words early in the day. I completed the first draft one of my works in progress (WiP) called The Singer. What I originally planned to be a 30,000-word novella is now a 75,000-word novel. I finished that draft two days ago. This means I have two completed drafts in the production pipeline and I'm now free to start production on another. 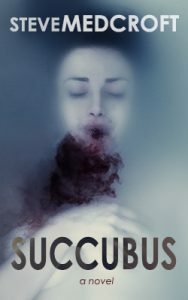 I have almost completed the second draft of another WiP called Succubus. I've read through and marked up the entire 320-page manuscript, making and executing several pages of notes and revisions along the way, and I'm 200-pages through typing in the changes. At this pace, Succubus will go to Beta Readers (assuming I can find some) in the next two to three weeks. The lesson here is that I can review/edit 20-25 pages per hour. Again, good to know for setting realistic production planning. By working at my writing every day, I am learning to approach writing novels as a process with several, distinct phases. I used to feel like I had achieved a major accomplishment when I reached the end of a first draft but I didn't have much of a plan beyond that. After reading the War of Art by Steven Pressfield and watching YouTube videos featuring interviews with people like Steven King and Lee Child, and reading the amazing shared-experience and knowledge from the great writer-teachers of the modern age (Chuck Wendig, Rachel Aaron), I now approach the process of writing like a work project. Production of a novel has a number of phases. Writing a first draft is only one phase. The process also includes the Breaking Story Phase, The Writing Beats phase (outlining), the First Draft, Second Draft, Beta Reader, Restructure Draft, Cover Design, Professional Edit, Proof-read, and, ultimately, the Publishing stage. Marketing and promotion are the final phases but the goal line to celebrate is the Publishing stage (getting the work up to the level where it can be considered a stand-alone work to be enjoyed by an actual reader). ...I learned that I don't need to dedicate a ton of time to reach my goals. If I average the time I spent each day reaching my goal of 1,000 words of new fiction, (as well as continuing to move other projects through the entire novel-production process and executing some copywriting assignments I picked up), I only worked for 90-minutes per day. That's it. 90 minutes. I used to think that I didn't have time to get my goals accomplished. I used to think that if I allowed myself to pursue fiction, I would be stealing time from my business (and therefore from my business partners and family). But really, I just needed to give up a little dead time (watch less TV or miss a few bike rides), and focus when I worked on being efficient. Now, I understand that time is a non-issue when it comes to challenges in hitting my goals. Now it is a game of will and ability to learn and get better as I continue to move forward. On some days, I failed to write new fiction when I had copy-writing assignments due (an opportunity to make a little side money and write that came to me at the end of last year). On those days, when I had to deliver, the two or so hours I have found to work on writing went to that client. Luckily, this was only three or four days but not producing new fiction on those days was anxiety-producing. One some days, I failed to deliver 1,000 words. When I look at the data and reflect, they were days when I didn't get a start in the mornings. Laziness, preoccupation, the first hint of burnout, whatever the reason, I pushed the writing goals to the end of the day and by the time I got to it, I did just enough (or not enough). I have neglected exercise as I put writing first. I used to cycle four times a week or more. Mornings mostly (because I live in the desert and we ride early in the mornings to avoid the heat). I have been fanatical about writing first thing. But I need and love exercise. And, I believe, its vital to thrive as a human being. So I am committed to riding on weekend mornings (where I can the write as soon as I get back because I don't have the day job pressures waiting for me) an done day during the week. Another thing I did not anticipate was that this additional two-hours-a-day workload has increased my mental stress levels. If I don't watch what I eat and be conscious about when I'm letting the stress build, I tend to get sick or run-down; both of which impede my writing. Again, getting back to exercise could be the answer to this one, but realizing that writing exacts a toll is great because it means I can address it going forward. I need to write fiction immediately. I have not written new fiction in three days now while I formulate a new story in my head. I need to get that story broken and the first few scenes beated out so I can stay in the habit of writing fiction every day. Otherwise, I fear, I will stall starting up again and weeks or months will suddenly disappear from my life with no progress toward my goal. Even if I ultimately don't use these pages, I need to write. Move Succubus out to Beta Readers so I can get notes back for another pass. I need to find some beta readers first. And write a short into with expectations of what I am hoping for (questions that require me to examine the story, comments about structure, mistakes but not grammar, style-choice or spelling errors). Do you know anyone who'd be interested in being a beta reader? Contact me. Start the second draft of The Singer. I would like it to cool a bit before I get back to it but as soon as Succubus is off to beta readers, I need to keep the production pipeline moving by doing the read-through, mark-up, and edit of The Singer. Make sure I spend some time dreaming up story ideas in an organized way. At the current pace, I'll need a new story to work on about June 1st. Rather than wait until then and hope one good idea comes along, I'd rather have ten ideas to pool from. Stick to a morning routine. Get up a little earlier. Get the words in before anything else needs my attention. 'Nuff said. Are you working on an artistic goal? What's you approach? What's your progress? What have you learned?